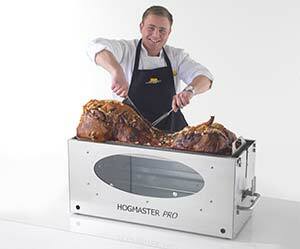 If you love our Hog Roast Waterford’s, why not try your hand at cooking one yourself! As a company we also design and build all of our own equipment from our factory in the north west of England which means we really are the top of our game when it comes to hog roasting. 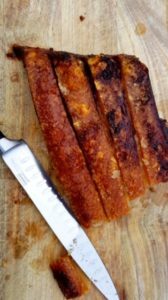 Not only do we have the professional chefs who know how to cook up a hog roast storm, but we also have the engineers on hand to hand craft each and every one of our machines so we can guarantee it will work to perfection every single time. 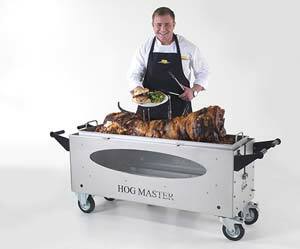 Hog Roast Waterford proudly hires out and sells our machines to members of the public and other caterers alike so that everyone can get as much enjoyment out of these incredible machines as we do. This week we were contacted by Alex who wanted to enquire about purchasing a machine for himself. Having hired from us in the past Alex knew his stuff about hog roasting but was yet undecided on which machine he wanted to purchase. We told him we could help with this decision by inviting him to visit our factory and see all the different Hog Roast Waterford machines in one place as well as having the opportunity to chat to our engineers about the different machine specifications. As always when we have a factory visit, which anyone can have and there’s no need to book, we begin by asking if there are any specific needs you have or any style of machine in mind. We will then take you on a tour of the factory and demo each of the machines as well as answering any questions you may have. Lots of our machines also have different attachments available such as the BBQ attachment and extra roasting trays so they truly are so versatile depending on what you are after. Alex settled on the Hogmaster, our classic machine, and we can’t wait to hear how he finds it!